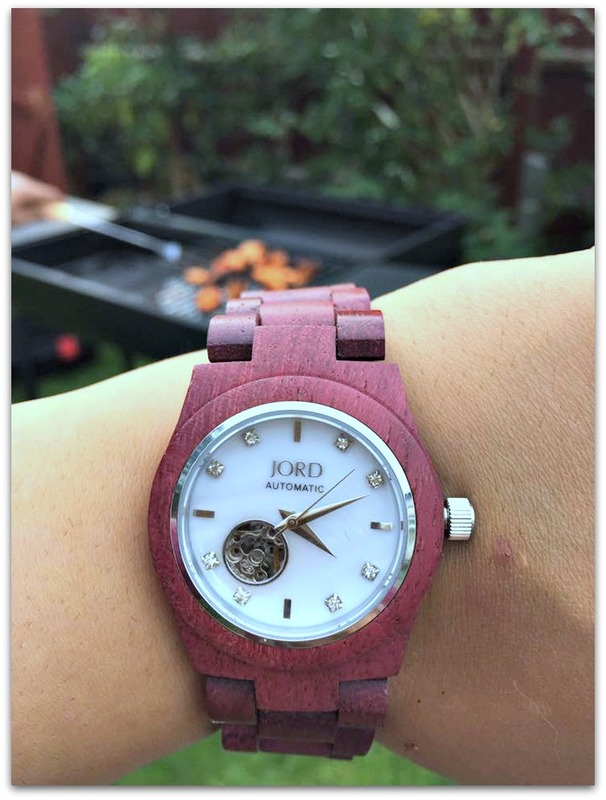 I first came across JORD watches last year when a friend reviewed one. 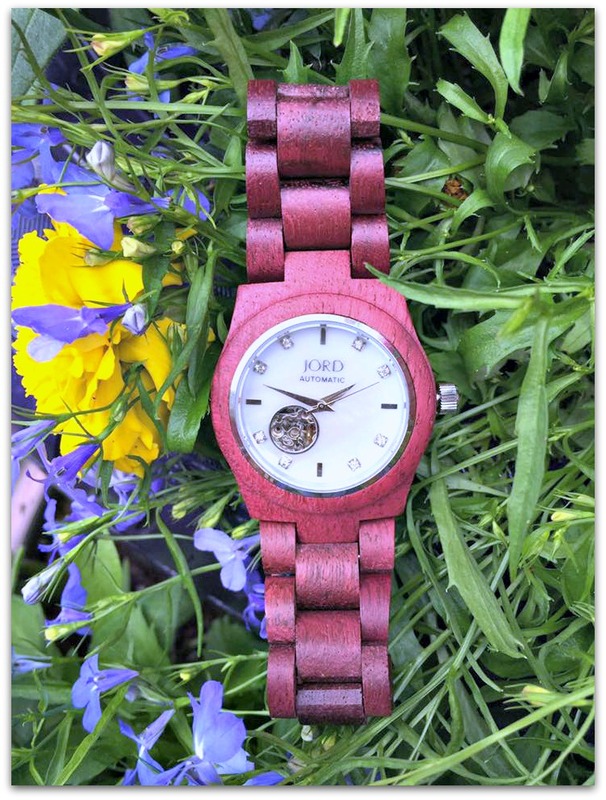 The watch looked good and the review was good but I was in two minds about the idea of a wooden watch. But as I wasn’t planning on buying one I didn’t think much more about it. Until recently when I was offered the chance to review one. Curiosity got the better of me so I agreed. 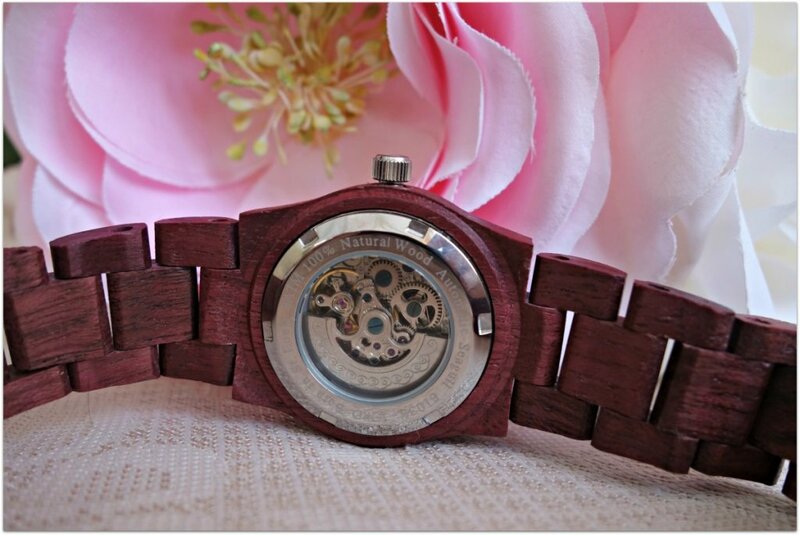 Although I usually tend to be quite plain when it comes to watches and stick with black/silver, I fell in love with a watch in the Cora series: Purpleheart & Mother of Pearl, which retails at $275. Savoring something, however small, is why your style will always be revered, and rarely replicated. You’ll love how the Purpleheart wood pairs with opaline Mother of Pearl to showcase the luxe nature of natural materials. Crafted to be adored, our Cora was created for you. First impressions always matter to me. And the Jord Watch did not fail to impress. It arrived in it’s own stylish wooden box and immediately made an impact. With a wooden watch I was assuming it would be heavy on the wrist but I couldn’t have been more wrong. It was amazingly light weight and the best thing is you send your measurements to Jord so you can have a perfect fit. You simply print out a wrist guide from their site and measure your wrist. As it is so lightweight, it is perfect to wear during the summer and I can see this being one of my most worn accessories for days out, barbecues and general walks and meet ups with friends. Family and friends have already complimented the watch and I can see it attracting more attention as I wear it out more on our regular trips to the park in the summer holidays! What is different about these watches is that they do not take a battery but use a wind up mechanism. Once wound up, daily activity should be sufficient to keep them going but must be worn around 8 hours a day. Lack of activity will mean you will need to wind your watch up again. But how amazing does the mechanism look? I am simply in love with these watches! 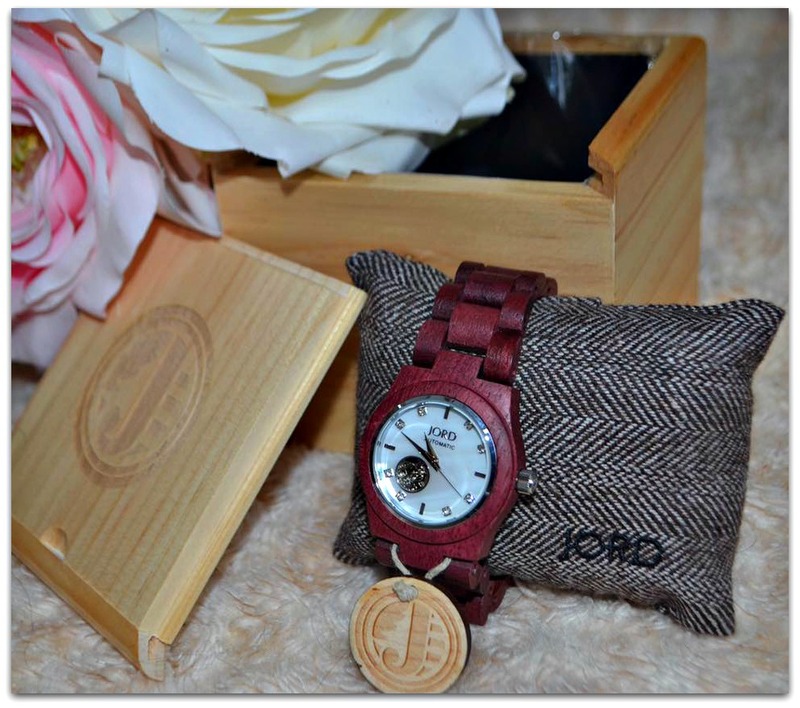 Jord are kindly giving away a $75 e-voucher to put towards a watch of their choice! in addition to this everyone who enters *(excluding the winner) will get a $20.00 e-gift card that can be applied to any watch on their website! (must be used within 3 months). All you need to do is leave your name and email address. Please note: Jord Watches use a tracking system via UPS and you get notifications that your watch is dispatched and delivered. If you are in the UK then do be aware that that you could possibly end up with a customs charge to pay. Disclosure: I was sent a watch in return for a honest review. All thoughts and opinions are my own. Oh, it is so pretty! I love that you can get it made to measure too. I never wear watches because I find it hard to get ones with straps that fit me. I love a good watch. I have two watches but since wearing my fitbit I never wear them. That looks like a lovely watch, such an unusual colour! What a lovely watch! A wooden band is not something I would have considered – but it looks really nice. Thanks for sharing. What a beautiful watch! I haven’t worn one for years, but this would definitely tempt me back. Love the exposed mechanism. This is so pretty. Have a grand look to it. Jord watches are so pretty, but mine didn’t hold up to everyday wear. The strap snapped within 3 months of daily wear. Oh no that is a shame! i don’t really wear a watch, but they look fab! It is a lovely watch – I particularly like the colour.